For a few years, the lone committee that fans of Alabama football refused to take seriously came from the Ray Guy Foundation. After not seeing JK Scott win the award for college football’s best punter, as he probably should have, the idea was not to let that happen again. Unfortunately, another Crimson Tide standout is in this predicament. Irv Smith Jr. made the cut as a semifinalist for the John Mackey Award – which goes to the nation’s top tight end – but in terms of becoming a finalist, the junior did not make the list. Hailing from New Orleans, La., Smith has had a breakout season in being one of Tua Tagovailoa’s favorite targets. Through 11 games, he totals 32 catches for 586 receiving yards with seven touchdowns. 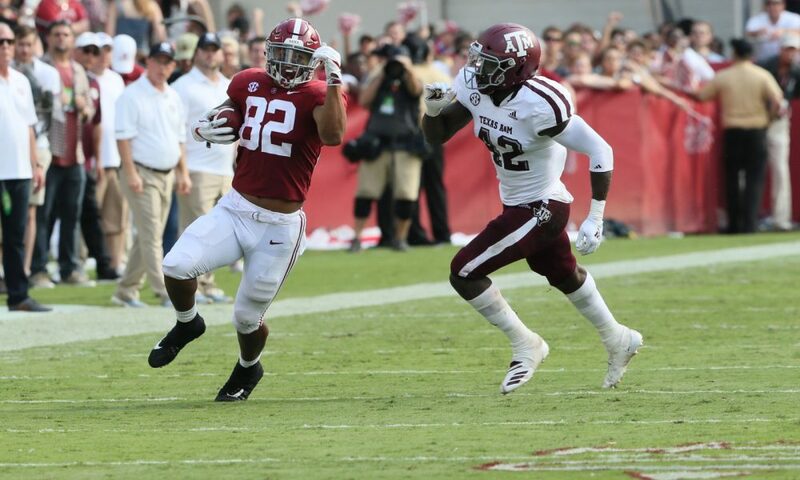 While he is among the team leaders in all three categories, Smith’s average of 18.31 yards per catch is the most for any tight end of the Nick Saban era. 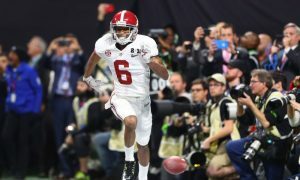 His seven scores are the most by any player at the position under Saban and it places Smith in a tie for ninth all-time for touchdown receptions in a season; joining Ray Perkins (1966), Wayne Wheeler (1972), David Palmer (1993), Julio Jones (2010), Kevin Norwood (2013) and Calvin Ridley twice in 2015 and 2016. Despite the effort and putting a Citadel defender on “Momma, there goes my ankles” via social media, Albert Okwuegbunam of Missouri, T.J. Hockenson of Iowa and Kaden Smith of Stanford were valued more than Smith. If the honor was based on body of work, then Okwuegbunam and Hockenson are justified. However, if we are referring to who is the best tight end in all of collegiate football for this season, not having Irv Smith on this list is a disappointment. His yards per catch average is better than Okwuegbunam (10.84), Hockenson (16.17) and Smith of Stanford (13.51). The 6-foot-4, 241-pounder also has more touchdown receptions than the trio, with Okwuegbunam and Hockenson each having six scores. 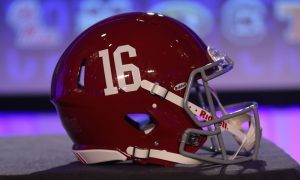 Before getting Tagovailoa in 2017, the Tide’s offense was deemed “boring. Its scheme consisted of a strong rushing attack, great defensive play and the quarterback not putting anyone in harm’s way. The addition of the sophomore from Hawaii has given Alabama a dynamic signal-caller that spreads the wealth all over the field. This is the first time under Saban where the program has had one 1,000-yard weapon and at least four 500-yard receivers on the roster. O.J. Howard, a former UA tight end, was a finalist for the Mackey honor in 2016. He carried four fewer touchdowns than Smith (three) and average 13.22 yards a catch, versus the 18.31 mark recorded from Smith. Looks like we have a case of should Tide fans trust the Mackey Award committee, but it seems like Smith is locked on winning a national title.